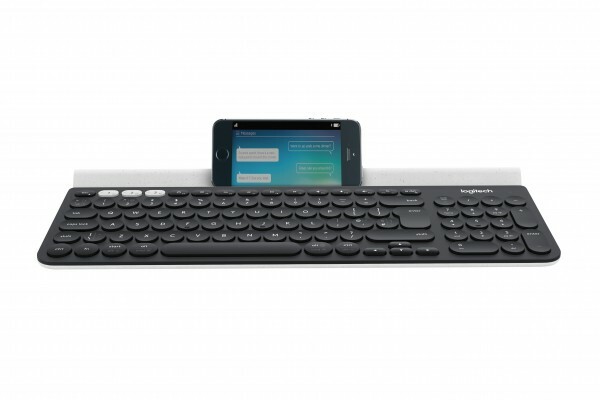 Compatible with WindowsÂ®, Mac, Androidâ„¢ and iOS (iPhone and iPad), this universal keyboard recognizes the type of device thatâ€™s connected so that all the keys are exactly where you expect them to be. Silent, smooth and familiar typing with Logitech PerfectStrokeâ„¢ key system. Comes with two options for wireless connection: Logitech Unifyingâ„¢ USB receiver or BluetoothÂ® Smart technology.